More than 35 mouth-watering flavours await you in a relaxing, casual and cosy atmosphere. 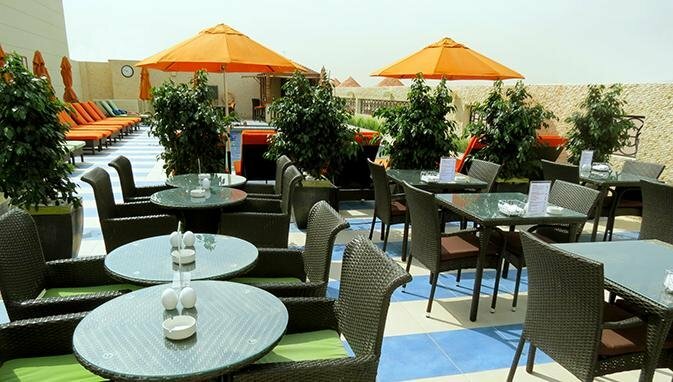 Enjoy your preferred Shisha or, try one of our new exotic flavours at the Shisha Terrace. All served with the highest hygiene standards. Opened daily, the venue is ideal to chill, relax, and chat among friends or simply to unwind at the end of a busy day. Tasteful snacks, casual bites and a selection of Mocktails are available to complement your Shisha experience.